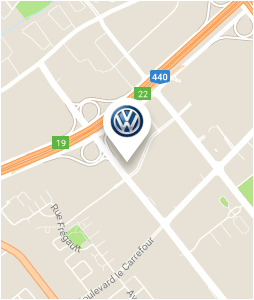 Welcome to Arbour Volkswagen, your dealership of choice in Laval for the purchase of a new or Volkswagen Certified Pre-Owned vehicles, or for the maintenance of your current VW. At Arbour Volkswagen, you will find all the services you are looking for when buying or servicing a Volkswagen under one roof. That said, what sets us apart the most is our customer service. At Arbour Volkswagen, we treat every customer as a member of our family. Whether you are buying a new or pre-owned vehicle or after the sale, you are always treated with respect, courtesy and dedication at Arbour Volkswagen. At Arbour Volkswagen, you will find a complete inventory of new Volkswagen vehicles to suit every need at a competitive price. Come discover the new Volkswagen Atlas or the new Volkswagen Tiguan at Arbour Volkswagen today. We also have several Volkswagen Jetta and Volkswagen Golf models in inventory to offer you. Arbour Volkswagen is also your number one destination for buying a certified pre-owned vehicle. Come meet us today and let us help you find the perfect Volkswagen for you and your family. At Arbour Volkswagen, the quality of our service does not fade after you purchase your Volkswagen. We also offer maintenance and repair services, cosmetic and body repair services, and a complete Volkswagen Genuine Parts and Accessories department. Come and discover our new and pre-owned Volkswagen services and vehicles today at Arbour Volkswagen, and let us surpass your expectations.